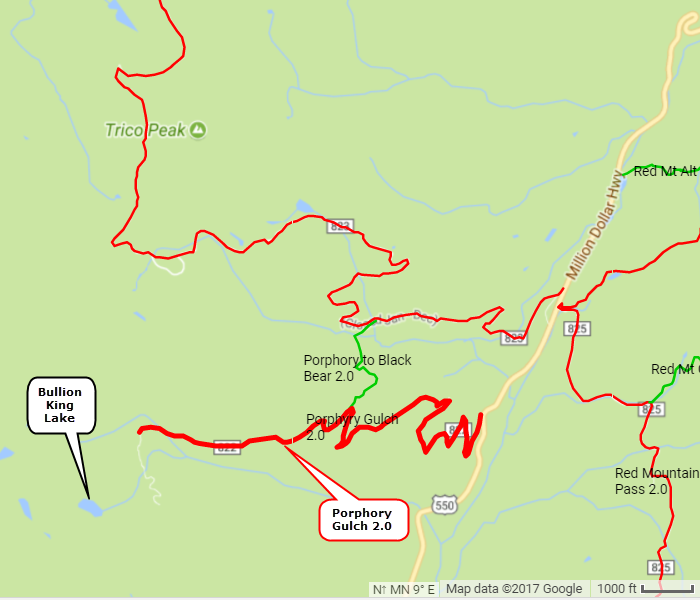 Porphyry Gulch is a very enjoyable Jeep trail. 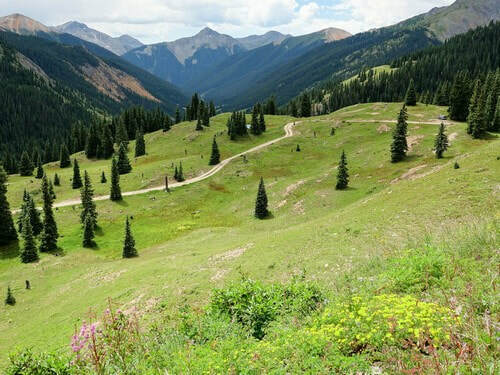 It is above the trees most of the way and offers nice views of the San Juans. 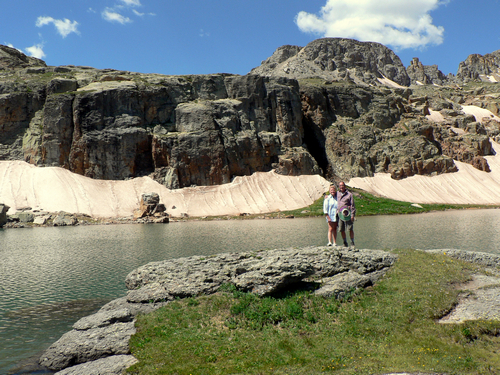 At one time this trail went all the way to Bullion King Lake, so it is occasionally called Bullion King Lake Trail. The road now ends at the Bullion King Mine, which underwent remediation in 2015. A 20,000-cubic-yard heap of tailings left by miners was posing a major threat to the watershed because of water leaching through its high metal content and low pH. This tailings pile was leveled, then covered with protective layers of fabric, plastic and soil. The 0.4 mile Jeep road beyond the pile was blocked to vehicle traffic. 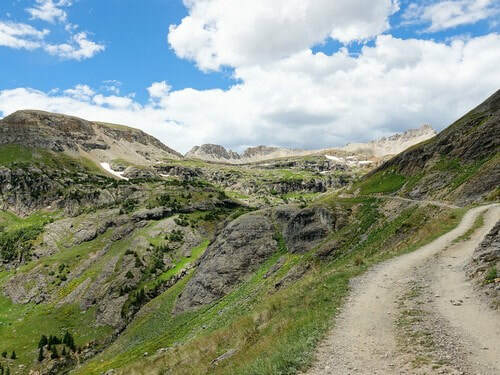 The road in is through open meadows, but does have a few clumps of trees frequently used for tenting. 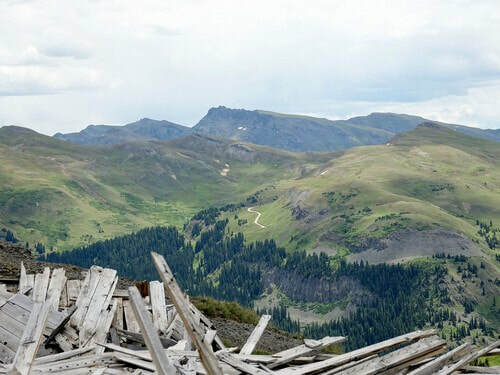 The road ends above 12,000' and offers great views of the surrounding area. 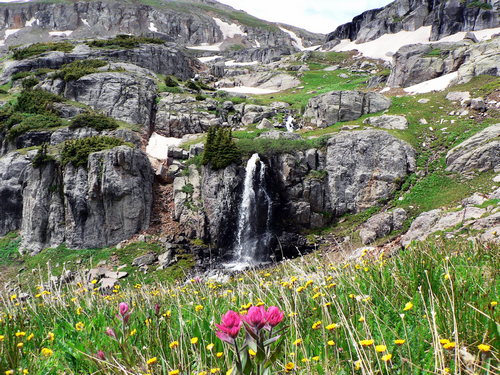 There is a nice waterfall (above the flower in the photo), and it is less than .75 mile hike to Bullion King Lake from the end of the road.